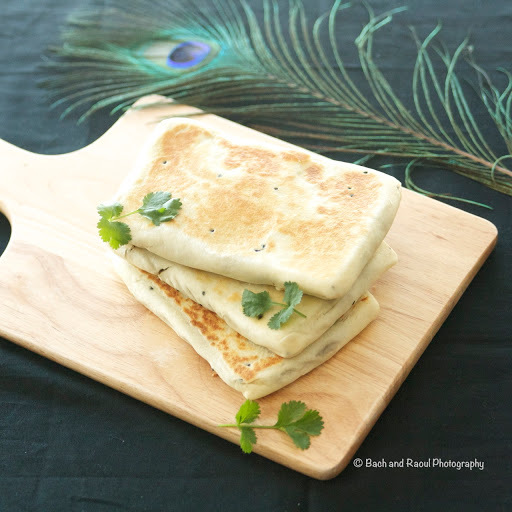 You really have to try these parathas, you guys! In just in time for Durga Puja! For those of you not familiar with this festival - Durga Puja, is an annual Hindu festival celebrating the Goddess Durga. It is quite a big deal for most bengalis. That's where my knowledge of the subject ends. Even though I am a bengali, I am what they call "probashi" meaning someone who wasn't born or brought up in Bengal. In Bombay, Durga puja wasn't quite celebrated in the same grand scale that it was in Calcutta (which by all accounts sounds quite manic to be honest). But boy was it fun! We went pandal hopping all over Bombay, catching up with other bong friends along the way. And the food! Once my dad was done with his customary dad duties, i.e propping me up on his shoulders so I could check out the idol, off to the Mughlai Paratha stall we went! He even went through a phase back in the nineties when he was making these pretty much every weekend, trying to get the recipe right. He's a great Sunday cook, my dad! 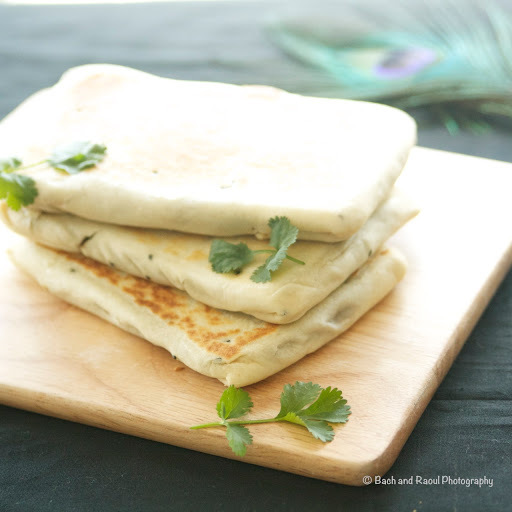 Here I have come up with my own version of Mughlai Paratha and it was a trip down memory lane. 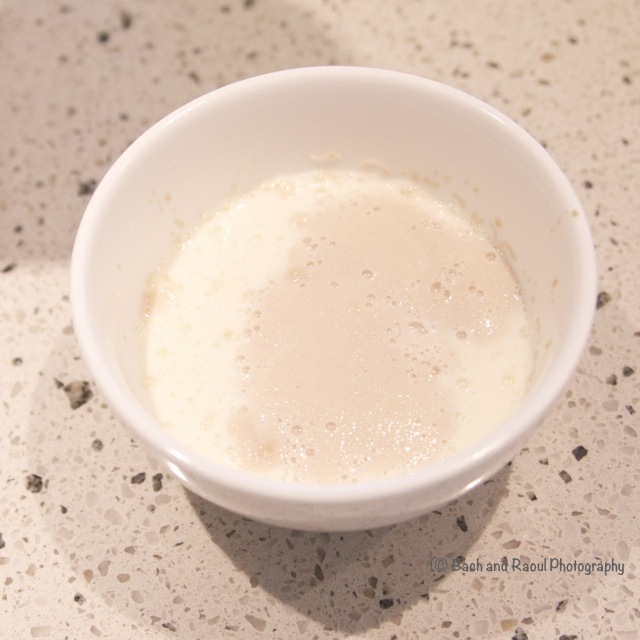 Add the instant yeast in half a cup of warm milk. Not too hot! You don't want to kill off the yeast. Set aside for 10 minutes. 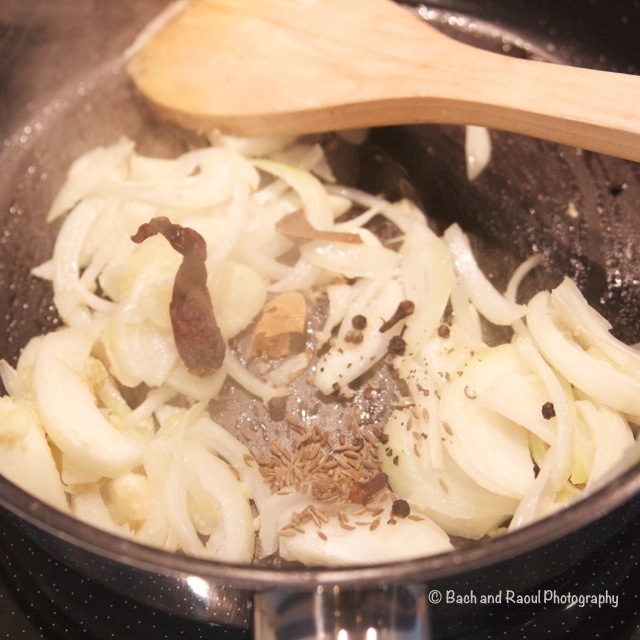 Add nigella seeds and 2 tablespoons of oil. Add a dash of salt. 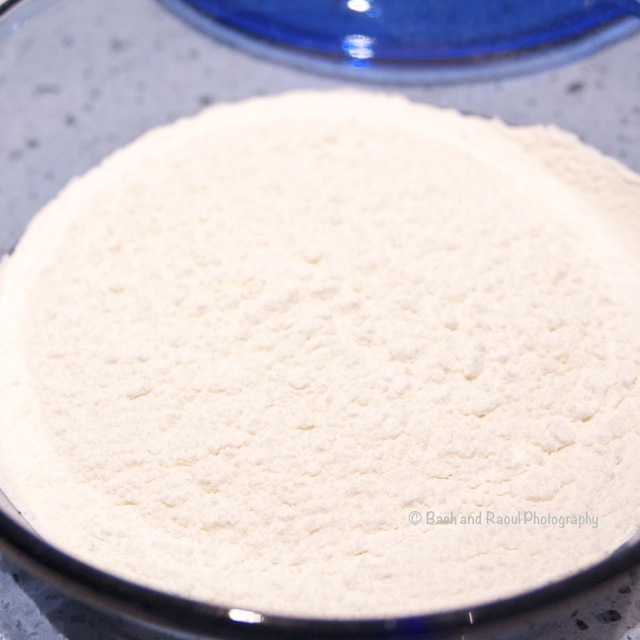 Add the yeast-y milk in and mix it with the flour. 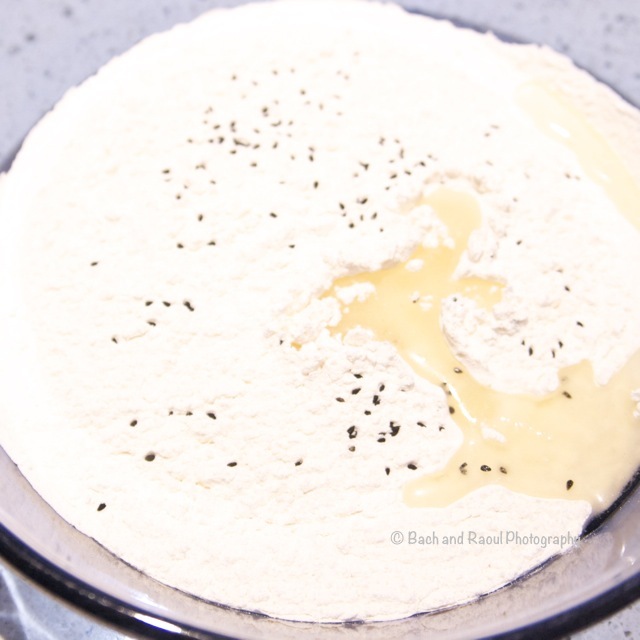 You may need to add more milk little by little to knead into a nice smooth dough. Knead it till it is a bit elastic. When you press a finger on to the dough it will bounce back. 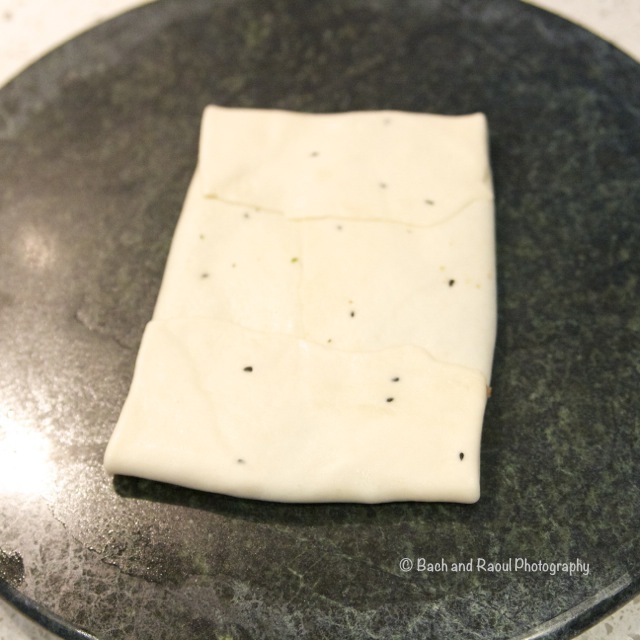 Cover with a tea towel and let it rest while you prepare the filling. 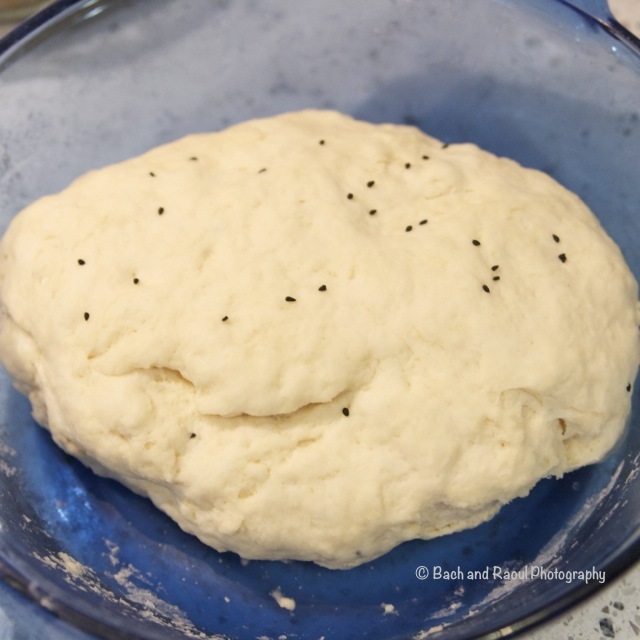 The dough will double in size in the meantime. 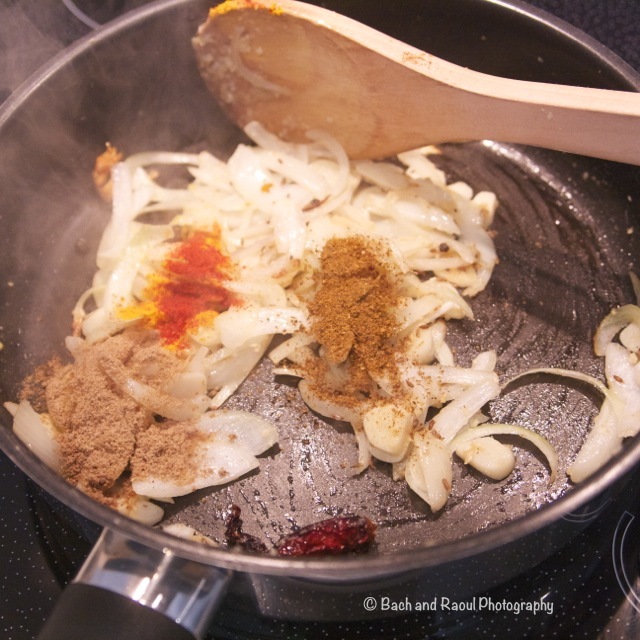 Heat up 2 tablespoons of oil and add in sliced onion and the whole spices - dried red chili, cumin seeds, cloves, mace, cinnamon and black pepper. Add in roughly chopped garlic once the onion cooks for a couple of minutes. 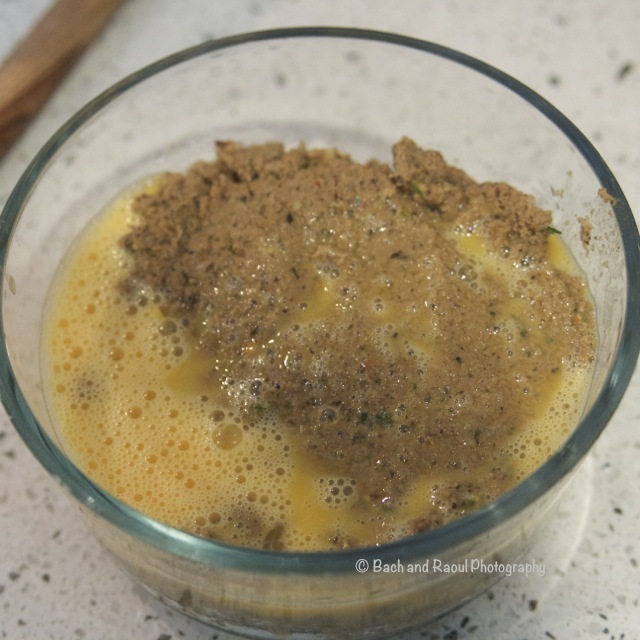 Add turmeric, coriander powder and meat masala. Stir. 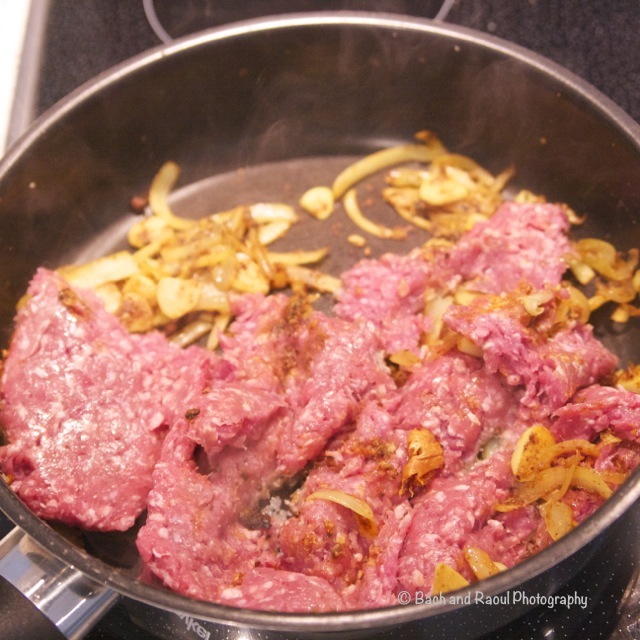 Cook till the onions start to caramelize. 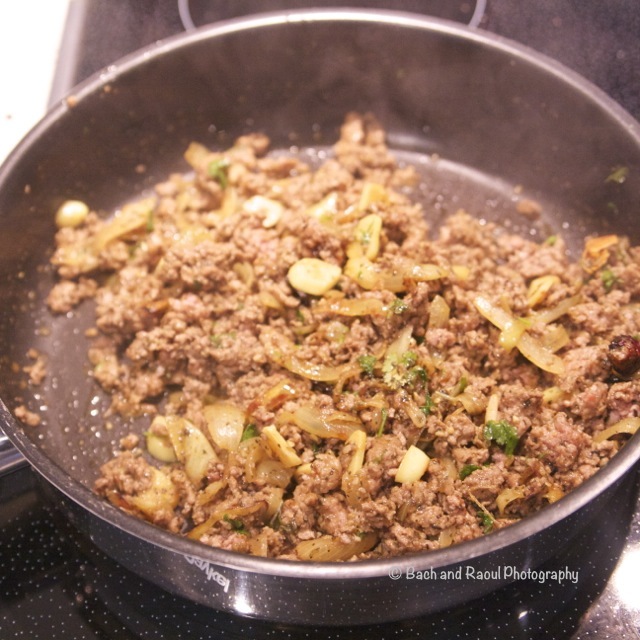 Add the ground lamb and combine with the onions and spices. Brown the lamb. Depending on how fatty the lamb is, you will need to drain the excess fat. 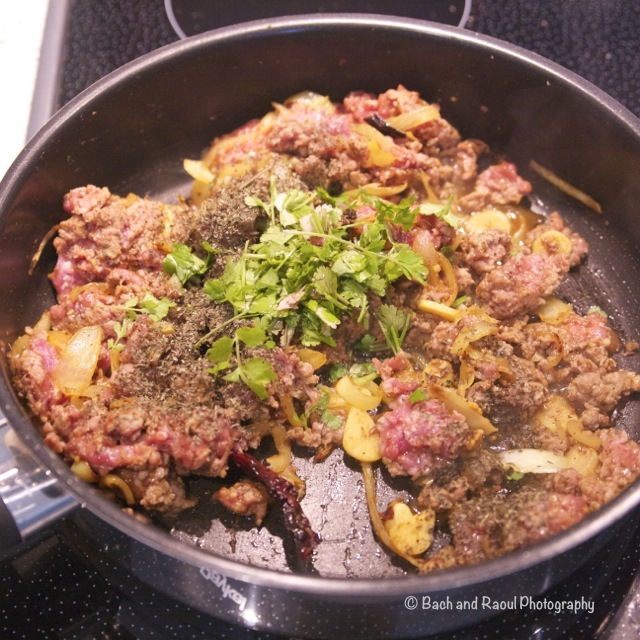 Bring the pan back on to the heat and add salt, cilantro leaves and mint leaves. 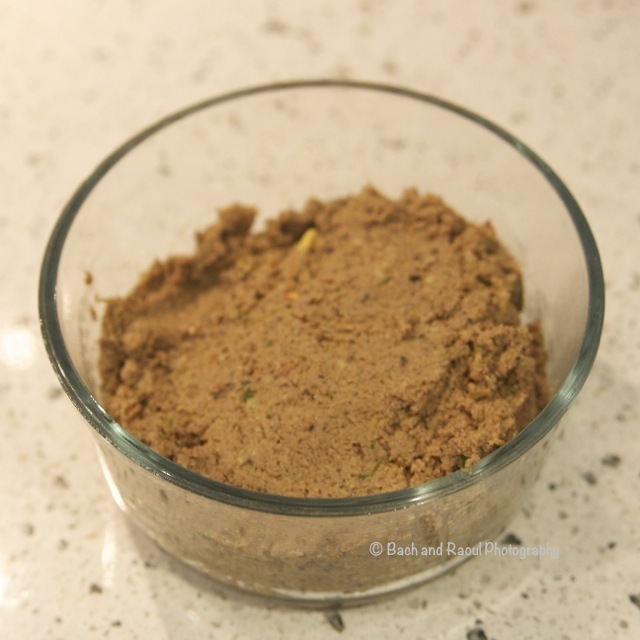 Mince the above up in a food processor to a smooth paste. Cool. 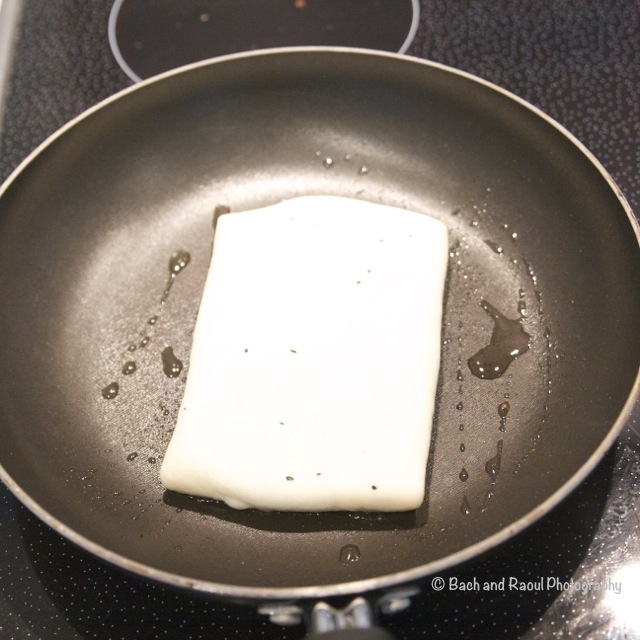 Add a whipped egg and mix it with the filling. 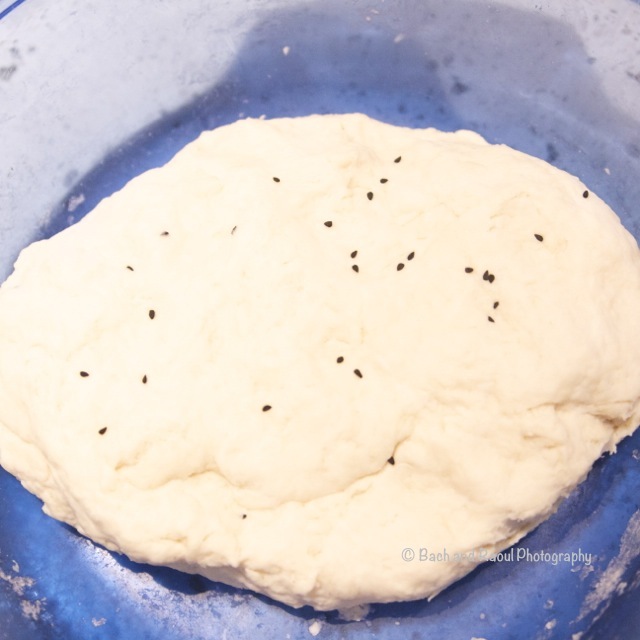 Divide the dough (which has now doubled) into 6 evenly sized balls. 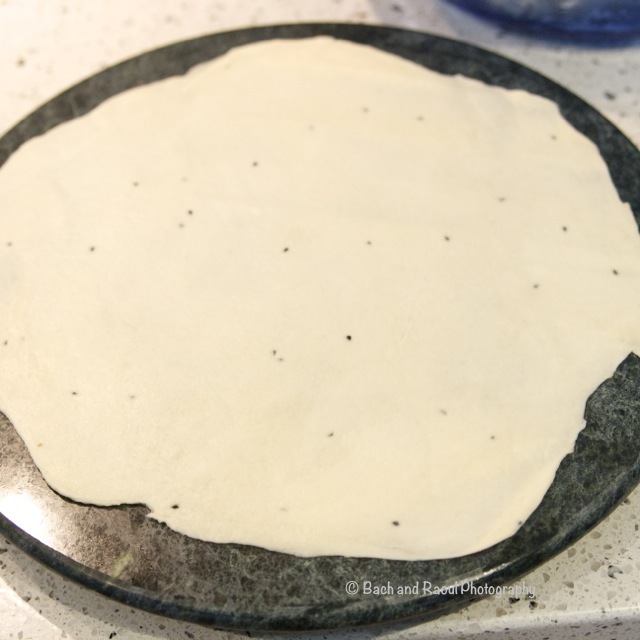 Roll the dough out on an oiled surface and roll it out as thin as you can with out tearing the dough. It should be a nice large circle-ish! It doesn't have to be perfect, it is okay if it resembles the map of Australia. 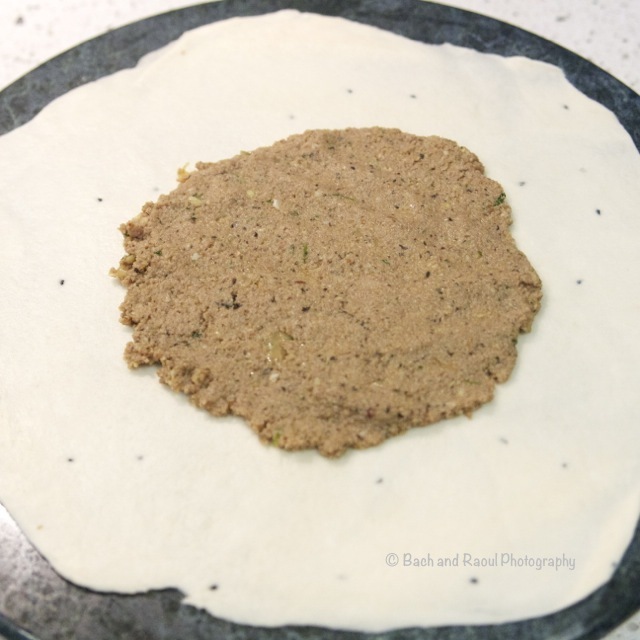 Place a sixth of the filling into the center of the dough and flatten it out. 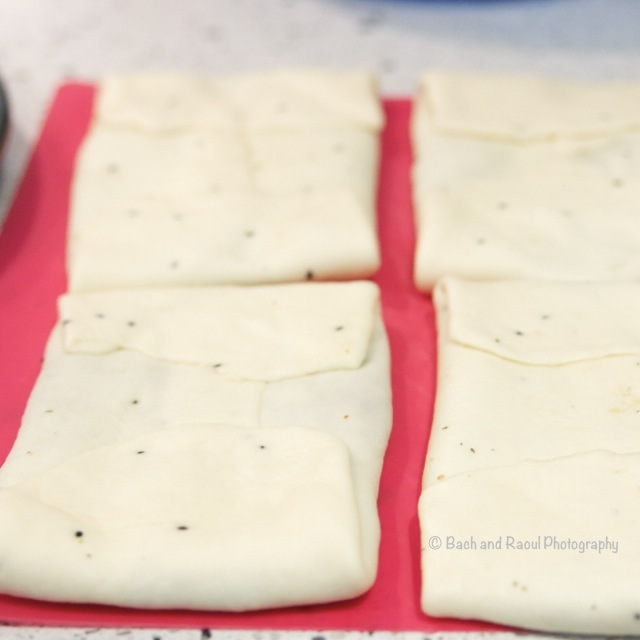 Fold the sides in so that it resembles a rectangular parcel. 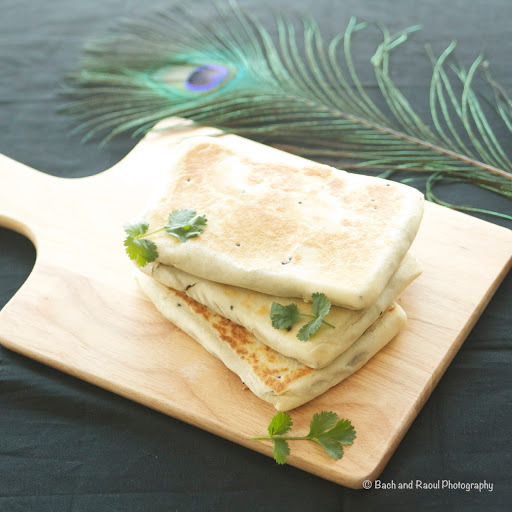 Roll out and stuff the rest of the parathas. 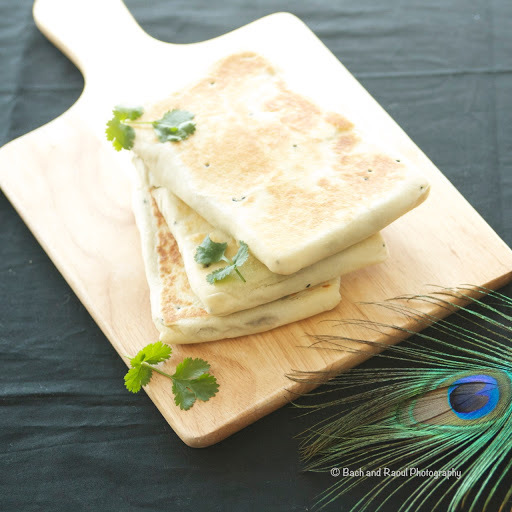 Heat a pan (low to medium heat) and toast the parathas for a couple of minutes, careful not to burn them. Drizzle a teaspoon of oil and cook the parathas evenly on both sides. Enjoy with a side of minty raita. Thanks for dropping by Manali!